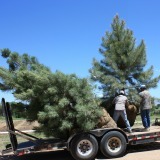 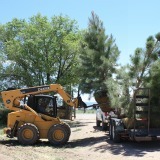 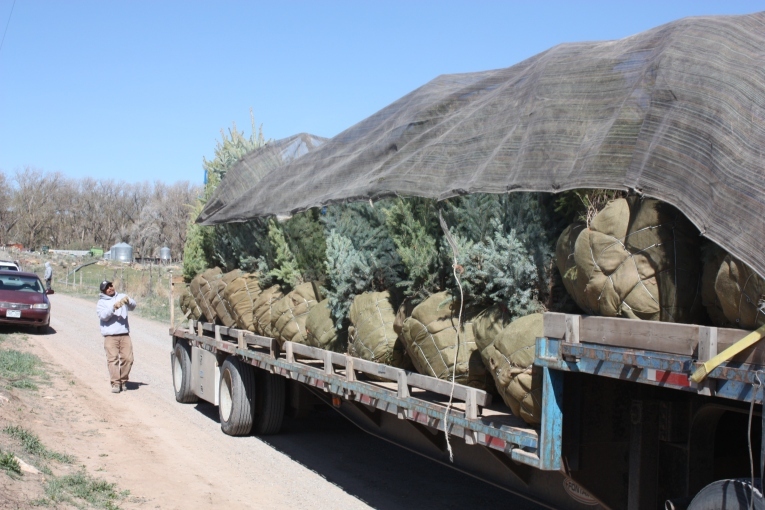 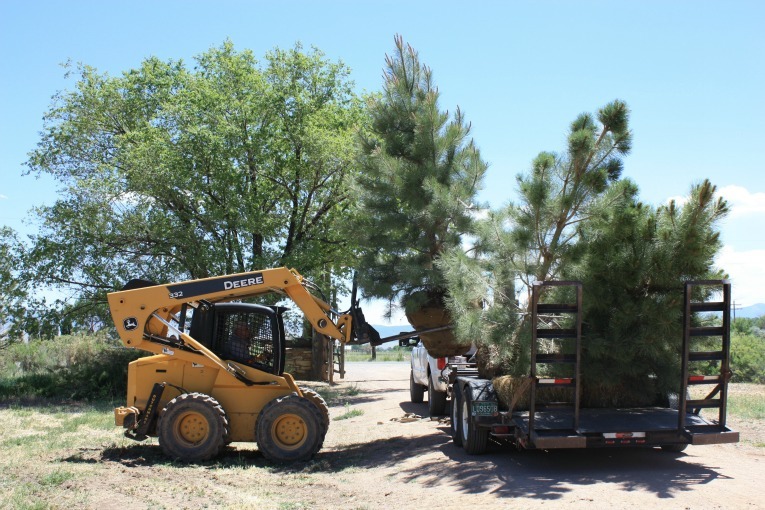 At Colorado Conifers, we offer a personal experience and deliver a hands-on approach to our customers. 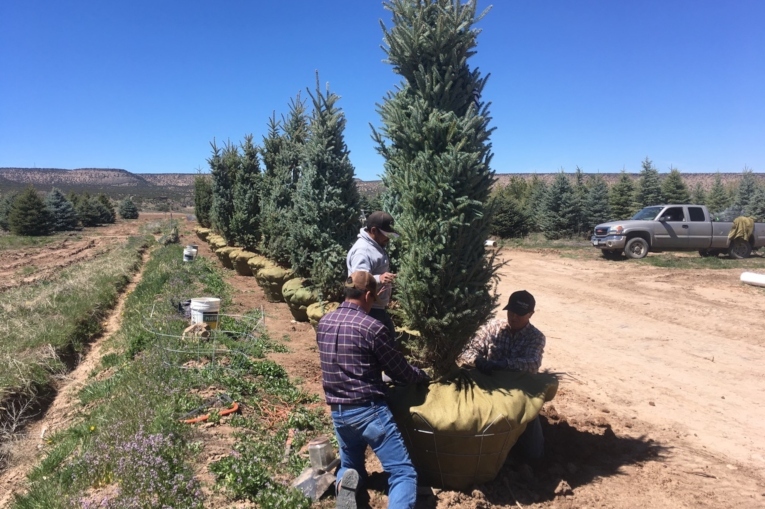 With 55 year experience we bring a high level expertise to the local market utilizing unique growing and handling methods to ensure our trees are top quality. 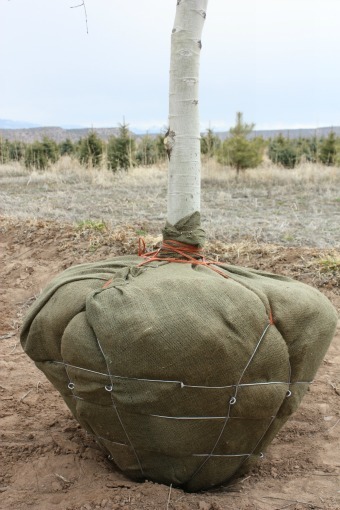 The tree ball we produce is a key attribute, as the integrity of the soil ball is a critical aspect that ensures survivability and rapid growth recovery through the planting transition as well as offers optimum handling. 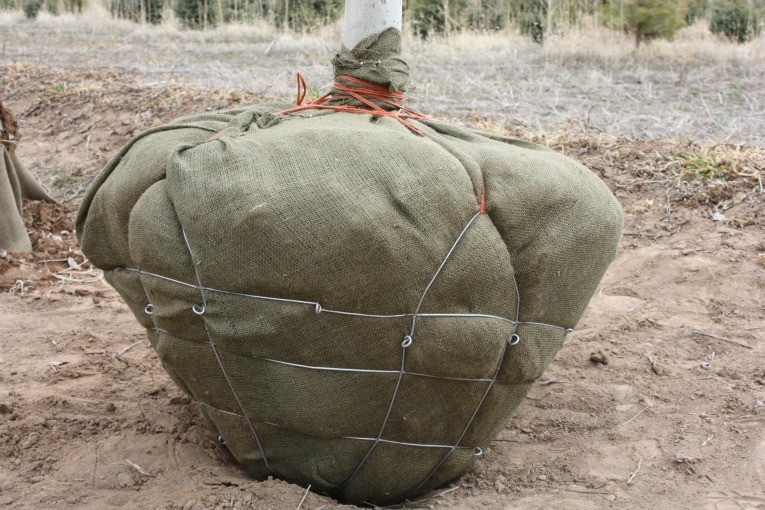 A large and tight root ball enhances the initial growth response and reduces transplant shock. 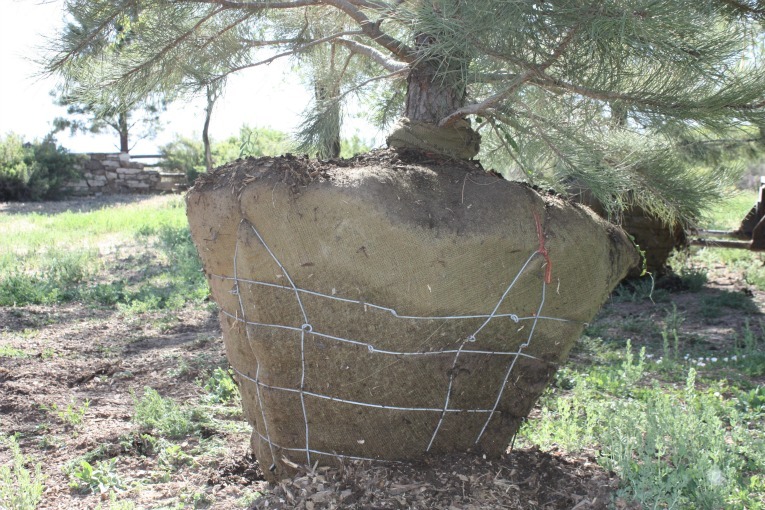 For every caliper inch of trunk width measured there needs to be at least 10 inches of root ball to match. 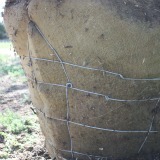 We use a hand-applied pigtail style crimp to tighten our root balls. 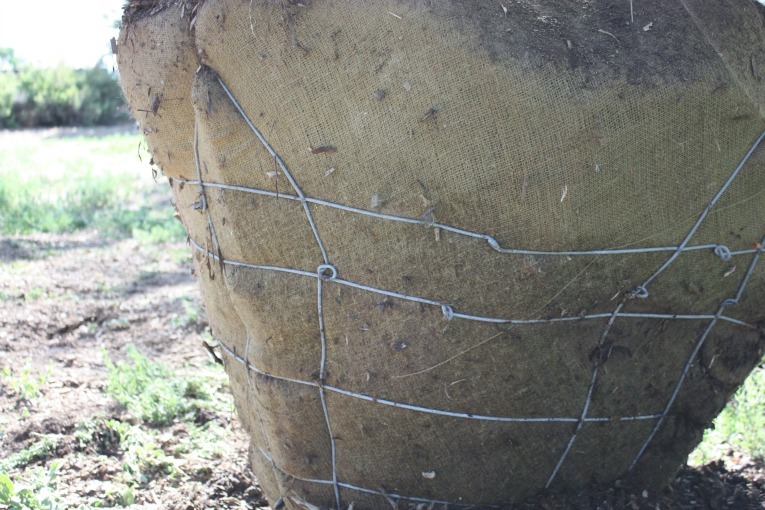 Tight root balls protect the fiborous feeder roots which are essential to survivability and exuberance in the growth of the tree. 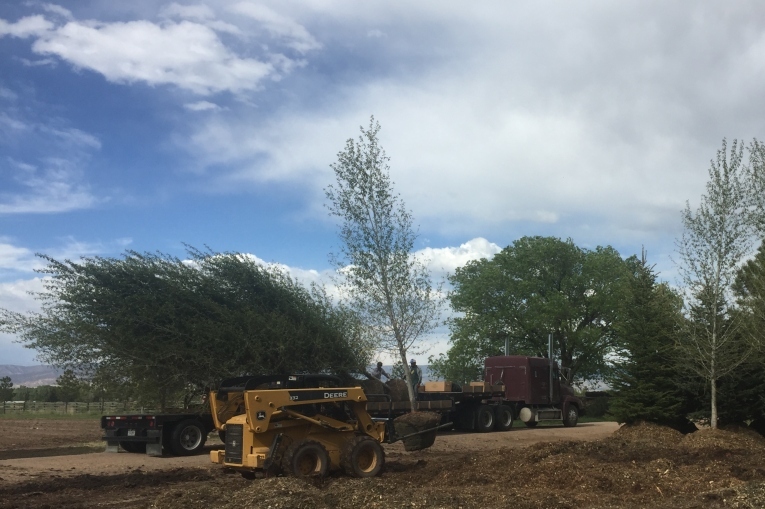 When loading trees we lift the root ball using our machines to ensure that the trunk and branches are not comprimised duing the process. 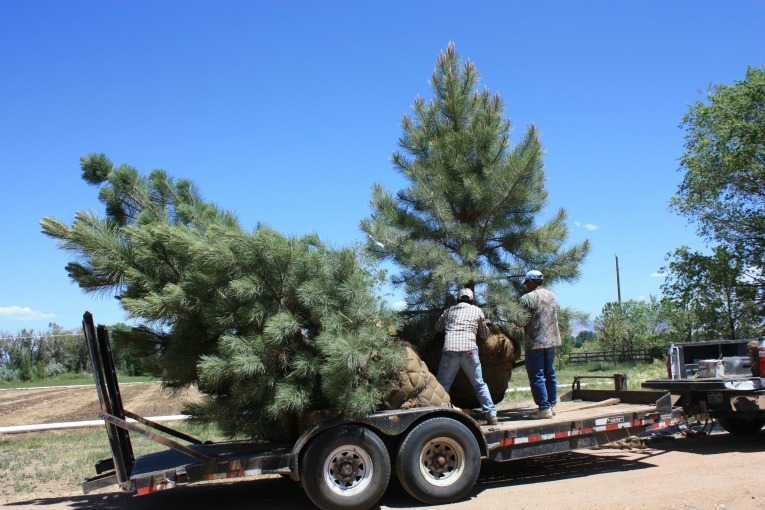 It is important to us and to our customers that the highest standards are delivered.